Hostal La Rabida provides the best possible service, making your stay comfortable, offering all the advantages of its unique location, in a special environment for those seeking an elegant and memorable. Its excellent location in the heart of Quito, in a residential area but within walking distance of many restaurants, shops, travel agencies and banks, allowing easily visit places of historical and cultural city. 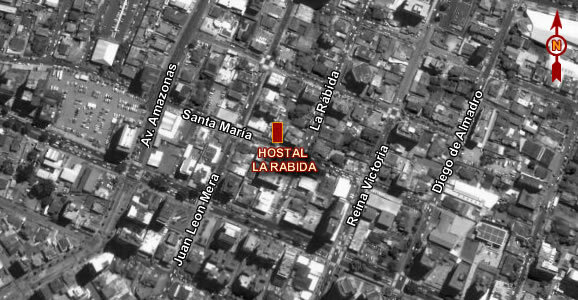 Hostal La Rabida has 11 rooms, which are designed to offer guests the warmth and comfort that can only find at home. All rooms have private bath, cable TV, direct dial telephone and safe.